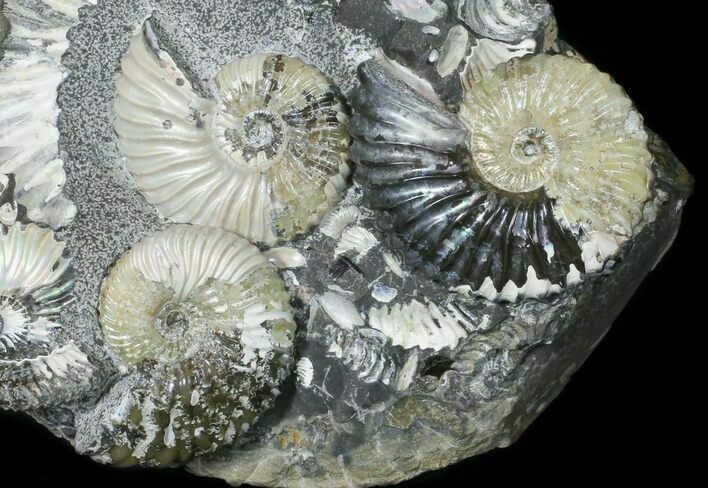 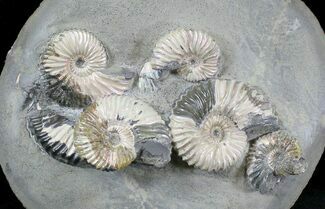 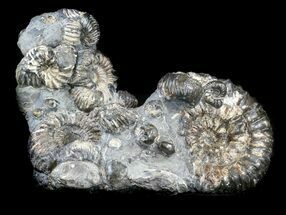 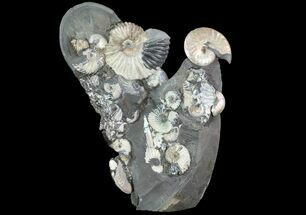 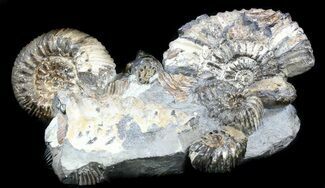 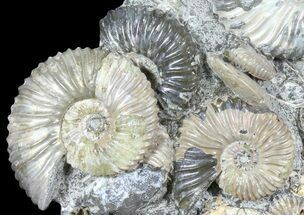 This is a gorgeous cluster of four Deshayesites ammonites from the Lower Cretaceous deposits of the Volga River in Russia. 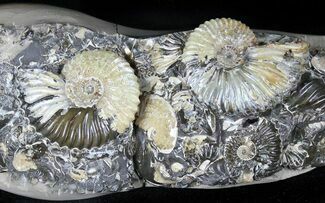 It has been beautifully prepared from the hard concretion from which it was found. 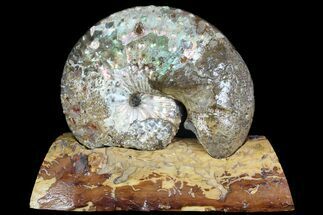 The ammonites have a wonderful iridescent shell preservation. 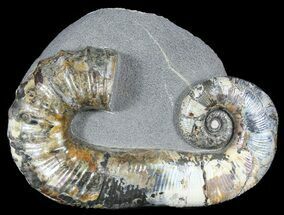 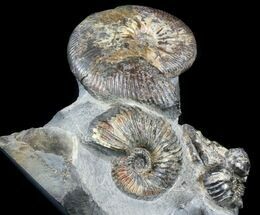 The largest ammonite is 1.9" wide and the entire piece measures 5x4.1"
Largest ammonite 1.9", Rock 5x4.1"